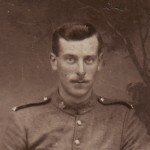 Son of Fred and Esther Margaret Corben, of “Stonehaven,” 55 St Albans Avenue, Bournemouth. Born in London. 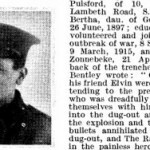 In July 1918 Victor Leslie Corben, a Second Lieutenant attached to the Rifle Brigade, was on leave in London when he started to suffer headaches and fever. He was admitted to the 3rd London General Hospital (this building, now known as the Royal Victoria Patriotic Building, sits opposite Wandsworth Prison). 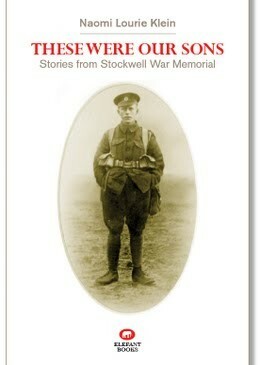 A few days later, appendicitis was diagnosed and on 7 July he was operated on by an Army surgeon. He had further surgery to drain a pelvic abcess but died the next day at 10.40am. Corben’s personal effects, a suitcase and a small parcel of personal property, were sent to his father, Fred Corben, a stone merchant of “Hillside”, 51 Union Road, Clapham. The will was proved by his father, who undertook to settle any debts left by his son. 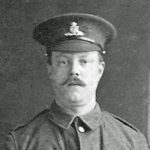 “The loss of the boy is indeed a severe blow to us,” Fred wrote to Major Bright of the Rifle Brigade at Colchester in August, thanking him for his sympathy and for the settlement of Victor’s accounts. However, when Fred applied to the Army for funds to cover his son’s funeral expenses, he was turned down. Your son died in England, of an illness not related to his service, they said. Fred was outraged, barely concealing his anger in a note written on 10 December 1918. For him, the appendicitis was clearly connected with the wounds Victor had sustained the previous year, and also with a bout of trench fever. “I was never consulted in reference to the operations which were performed on him at the hospital,” he complained. “[Yet] as soon as he had passed away in his country’s service I was called upon to pay for the coffin in which he was to be buried. … This seems to me a gross injustice.” The Army was intransigent: “No grant for Army funds is admissable,” it stated. 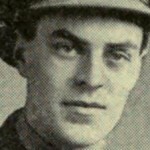 Victor Corben was born in Clapham on 23 February 1895, and after boarding at Cranleigh School, Surrey, worked in mechanical engineering. He was 5 feet 10 inches tall and weighed just over 10 stone. The 1911 census shows the Corben family living in 10 rooms at 51 Union Road. Fred, then 49, was born in Lambeth; his wife, Esther Margaret, 48, was from Chelsea. Their daughter Florence, 25, was “assisting in the business,” as was Leslie’s brother Frank H. Corben, 20. A servant, Mary Bower, 26, from Langton Matravers in Dorset, had been with the family for at least 10 years (she appears on both the 1901 and the 1911 censuses). Later Fred and Esther moved to “Stonehaven,” 55 St. Albans Avenue, Bournemouth. In 1911 the Corben family lived in 10 rooms at 51 Union Road. Fred, then 49, was a stone merchant, born in Lambeth; his wife, Esther, 48, was born in Chelsea. Their daughter Florence, 25, was described as “assisting in the business”, as was Frank H. Corben, 20. 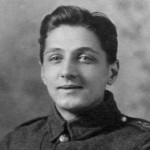 Victor Leslie Corben, 16, meanwhile, was a pupil at Cranleigh School at Cranleigh, Surrey. Victor is on the 1901 census as a six-year-old, although Florence is not. 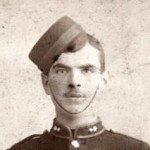 In 1901 there was a second son, Fred N. Corben, then aged three. He is not on the 1911 census, and may have died in the intervening years (the 1911 census shows that the Corbens had lost one child by that date). The household kept a live-in servant, Mary Bower, 26, from Langton Matravers in Dorset, who had been with them for at least 10 years (she appears on the 1901 and the 1911 censuses). 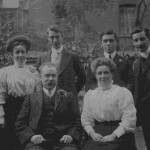 In 1901 the family kept two servants, the other being Florence Dawson, aged 20, who was born in Battersea.